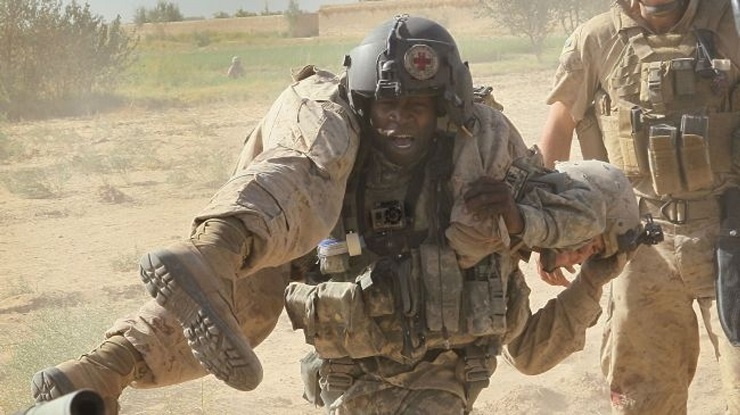 Now we are being told that the US is finally getting out of Afghanistan, as has long been promised Maybe, just maybe, the forty years of conflict there will be over, and everyone who has had their say about that country might just care enough to make that happen. There is some concern that the US is not negotiating this withdrawal with the Afghan government, but with the once-hated Taliban, the force long regarded as the exemplar of the evils of fundamentalism and terrorism. But the withdrawal is, after all, part of a peace process. It makes sense to try and talk the opposition into laying down its arms and helping rebuild the country, particularly when the US entered Afghanistan to remove that same force from power, and presumably doesn’t want to withdraw if it would mean letting the same force get up to its old tricks. Yes, we know that the withdrawal is not being driven by the situation in Afghanistan but by domestic political considerations. But surely it would not even be contemplated if Afghanistan wasn’t capable of running its own affairs, and re-establishing itself as a stable and democratic nation? Surely there is some sort of endgame, rather than simply a withdrawal, or there wouldn’t be anything to negotiate about, would there? Afghanistan has drifted in and out of the world’s headlines since 1979. But if there is one thing these past forty years have taught us, it is this. If superpowers actually care about the people they claim to be protecting, they give us valid reasons why they want to protect them. If they don’t, you cannot believe a word they say – and this is why the Afghan conflict only makes any sense if you assume everyone involved in it is lying, and wilfully so, and for the sake of doing it rather than to achieve anything. When the Soviets invaded Afghanistan in 1979, this made some sort of sense, at least if you were a Soviet. The already Communist Afghan government had been acting increasingly independently of Moscow, in an era when there was increasing cooperation between the US and China, but not so much between the US and the Soviet Union, which saw China as an enemy. Not wanting another Yugoslavia in a country cursed with a very strategic location, the Soviets invaded to bring it back into Moscow’s orbit. No one believed the justification given at the time – that Moscow was merely upholding the Soviet-Afghan Friendship Treaty of 1978. But in this Cold War era, no one expected the Soviet Union to tell the truth about anything, so another dodgy invasion, like that of Czechoslovakia in 1968, wasn’t considered newsworthy. The problem the West had was that few had noticed the rift between Moscow and the Hafizullah Amin government in Kabul. Most commentators wondered why the Soviets had gone in to overthrow a government of the same type. The Soviet argument that Amin was alienating the population by imposing Marxism on an unwilling society cut no ice in Western corridors. According to Western Cold War rhetoric, every Communist government was hated by its people, so why should the biggest and baddest of them all care about the popularity of a fellow travelling regime? One man who did see what was coming was Sir Harold MacMillan, the former British Prime Minister who was now a doddery old man no one took much notice of, a relic of a bygone political era. He had reputedly told his successor in 1963, Sir Alec Douglas-Home, that he would be fine as long as he didn’t invade Afghanistan. This was at the time was seen as a joke rather than a lesson of history. Now MacMillan repeated his claim that Afghanistan was impossible to conquer, but was again ignored. Only when the locals dared to take on the Soviet war machine, on the grounds that it was “infidel” rather than Communist, did the US, China and other powers start pouring money into the various mujahedeen factions, claiming they were “freedom fighters” who stood the first real chance anyone had had of defeating the Soviets. But the US didn’t really believe this either. How could it, when it was being seriously embarrassed by the Islamic Revolution in Iran at the same time? For the first time, Muslim equalled terrorist, because the US hadn’t seen that revolution coming, and felt foolish. Did it really think arming and funding Muslim terrorism in Afghanistan, even if it was fighting the Soviet Union, would produce a different result? To the amazement of many, the Afghans did kick out the Soviets, but not before they had started fighting amongst themselves. All the different factions, who controlled different parts of the country, were now supposed to meet and agree on the form of a new democratic system, under UN auspices. But when Mohammad Najibullah, whose faction happened to control the part of Kabul where the government buildings were, unilaterally declared himself president and the conflict started again, the US couldn’t have cared less. For many years, every Western government insisted that the Najibullah regime was a legitimate government, with some sort of democratic mandate, when it was a Muslim terrorist group like its opponents, and had taken power by violating the rules the West had set for that process. When Najibullah was forced to resign in 1992 the various Islamic factions continued their war, using their Western-supplied weapons and training, despite all being considered terrorists. Unable to resolve their internal conflicts, they fell victim to a new force, the Taliban, which conquered most of the country without a major battle by preaching a more extreme version of Islam, exactly what the West didn’t want, despite the fact it didn’t care that the others had once promised the same, and been supported. The US entered Afghanistan to kick out the Taliban, claiming it was a threat to humanity due to its links with al-Qaeda and heroin trafficking. How much the US really cares about either of these two things can be seen in other conflicts, where it fights on the same side as al-Qaeda, and the fact that it controls heroin smuggling routes by proxy. But getting rid of the Taliban, those wild and violent extremists, was worth the sacrifice of yet more Western lives – wasn’t it? Now the US wants to get out of Afghanistan, understanding history better than the Soviets did. But is it supporting the constitutional regime it put in place after the Taliban? No, it is talking to that same enemy, spitting on the graves on its own dead veterans and the victims of the Taliban and the forces it aligned itself with. If we take what the US has said about Afghanistan since 1979 at face value, this is the last thing which should happen. If we see the process as a succession of wilful lies which can only be ended by the biggest lie of the lot, it is perfectly logical – almost as logical as the fact that it is the notorious Trump White House which thinks this is not only OK, but part of some Manifest Destiny only Mr. Orange Face could fulfil. The Afghan government has every reason to feel aggrieved that the US is holding talks in Doha with the Taliban but not with itself. Matters have hardly been helped by Imran Khan saying that an “interim government” should be set up in Afghanistan to help with these talks, as if the existing one has no mandate or responsibilities. But Imran is only telling it like it is. If the US actually wants peace with the Taliban, why is it still in the country to counter its “insurgency”? If it doesn’t, why isn’t it supporting the existing Afghan government, which it put there, and continuing to try and defeat the Taliban? Either way, the US is treating the Afghan government like a disposable toy, and Imran is simply saying that if it means what it says, creating another disposable toy is the next step. The problem is that any Afghan government installed by the West is as unacceptable to ordinary Afghans as the Soviet-backed regime was. It was often noted that the leaders of the various “Muslim” mujahideen factions were not only breaking the commandments of the Quran by waging war against fellow Muslims, but behaving in other ways which belied their self-description as “Islamic.” But each was obliged to proclaim himself more Muslim than the last because most Afghans share that faith, and expect their rulers to do the same. After the Third Anglo-Afghan war in 1919, Emir Amanullah Khan pursued a foreign policy independent of the United Kingdom. Though he did not abandon Islam, he began doing things which his enemies, and a portion of the general populace, saw as deviant, such as establishing civil legal codes and building factories. He was forced to abdicate on the grounds that he was non-Muslim, and no subsequent Afghan ruler, apart from the Communists, has dared embrace ideas the Muslim majority will not accept, despite the existence of significant indigenous Hindu and Sikh minorities, and various divisions within Islam itself. The present Afghan government is seen by many as a Western puppet regime, and is being treated like one by the West itself. But it represents about the best balance between Western and Islamic principles the West can hope for. Apparently that doesn’t matter now, and bringing back “cleansed” fundamentalists is more important. But will the population which largely accepted the first Taliban takeover do so a second time, if it appears the same US has brought it back? The Taliban has not been defeated because ordinary Afghans don’t think the Ghani government is Muslim (and therefore authoritative) enough. Despite its past crimes, the Taliban now speaks more than anyone else for an important segment of the population. It will no longer do that if it gets into bed with the infidel to return to power. Then the Taliban will have to do as it did before – become increasingly extreme in its interpretation of Islam to regain the support of that public, and seek protection by that old Western method, sponsoring its favourite terrorists. No one will call for the Russians to ride in to rescue Afghanistan, and the international community will not allow China or Iran to do it. So that leaves the US, which still insists on being taken at its word. To save the world from terrorism, and the Islamic fundamentalism it insists breeds it, the US will have to go back to Afghanistan. As we have already seen, all the talk about getting Uncle Sam out of expensive foreign wars means nothing when set against domestic agendas, such as demonising particular immigrant groups to protect Americans in positions of power doing the same thing. With little else going for him, Trump will jump at the chance to rid the world of people like the Taliban, even though his minions are now negotiating with them to put them in the firing line once again. This is not Vietnam, where the US can leave and allow the Communists to take over because they are at least a genuine government which acts like one. The US can’t pursue its current domestic policy and then leave Afghanistan in the hands of those it blames for all its domestic troubles, and both Trump and the Taliban know that. If the US does pull all its troops out of Afghanistan, others will be sent in their place to do the same job. The governments of the countries they come from will soon baulk at working with the Taliban, and enjoy telling the US so to win their own domestic support. So the US will be in Afghanistan until it can find an even bigger lie to tell – and as it has taken forty years to get to this point, and there will be a backlash against Trumpism in the near future, that day is likely to take a very long time to come.